Speaking of the recurring deception, we hear news of another horrific bombing in Russia with no apparent motive. In 1999, the Russian KGB allegedly conducted a wave of bombings in Russia in order to justify war against Chechnya and put Vladimir Putin into power. This was apparently a false flag attack wrongfully blamed on Chechen terrorists. September 22, 1999, locals in the regional town of Ryazan saw three men emerging from the cellars of a block of flats who later turned out to be FSB officers. When local police checked the cellars they found sacks of high explosive wired up to a detonator. The FSB later attempted to explain away the incident by claiming that the entire operation was a training exercise. The November Man with Pierce Brosnan was based on a true story. 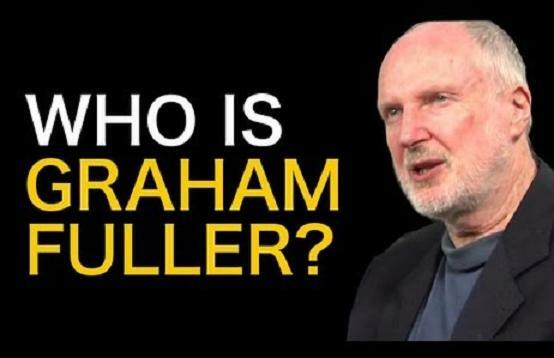 Graham Fuller was involved with Iran contra. 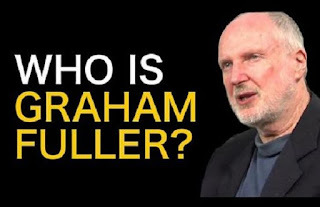 Investigative reporter Daniel Hopsicker demonstrated that the address for the terrorist group known as the Congress of Chechen International Organizations just happened to be the home address of Graham E. Fuller, formerly Vice Chairman of the Reagan-era CIA's National Intelligence Council. James Corbet and Sibel Edmons talked about CIA contractor Graham Fuller’s ties to the Boston bombing. The recurring deception continues. don't know who fuller is but when I saw the news and then the picture of Putin laying flowers at the memorial it did pass my mind that it might have all been staged. He was in St. Petersburg so it was an easy event and he has problems within the country. this is just a good reason to supress the protestors and people might let it pass thinking they have "terrorists" at work. With Putin, one can not be too careful. it also plays well for Trump and the Americans. they can ratchet up things because, hey Russia was targeted, we will be next type of thing and it will give Trump's people to speak with the Russians, you know avoiding terrorist plots. its just so interesting that a day or so after Trump says they won't insist Assad goes, some one drops chemical bombs on civilians. Now that is such a nice touch for Trump and his gang. Kill more Muslim and leaves less people for Assad and Russia to deal with. by the time Syria has been leveled there will be all sort of opportunities for Americans to build hotels, etc. Vladimir Putin is as dirty as George Bush and Hillary Clinton. They're all the same. However, Putin is nothing compared to the Communist Party of China. The Mainstream media's obsession with Putin while refusing to discuss China's current atrocities is very suspect indeed. The Agency is on the wrong side.